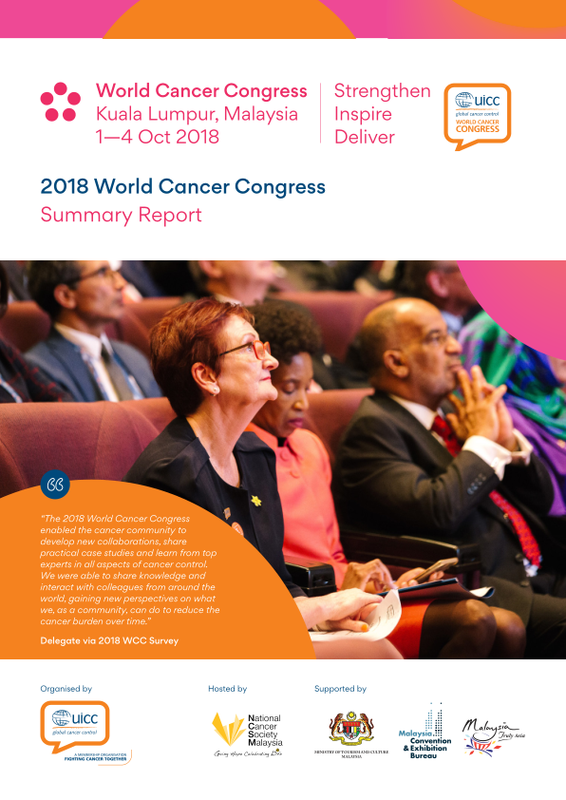 It convened over 380 global influencers in cancer control and public health from across governments, UN agencies, academia, the non-profit and private sectors, who joined forces to issue an urgent call to countries to increase access to, and investment in, cancer services for improved early detection, treatment and care. We are pleased to share the 2018 Summit report, download it here or read it online below. We are also pleased to share the full gallery of photos of the event. 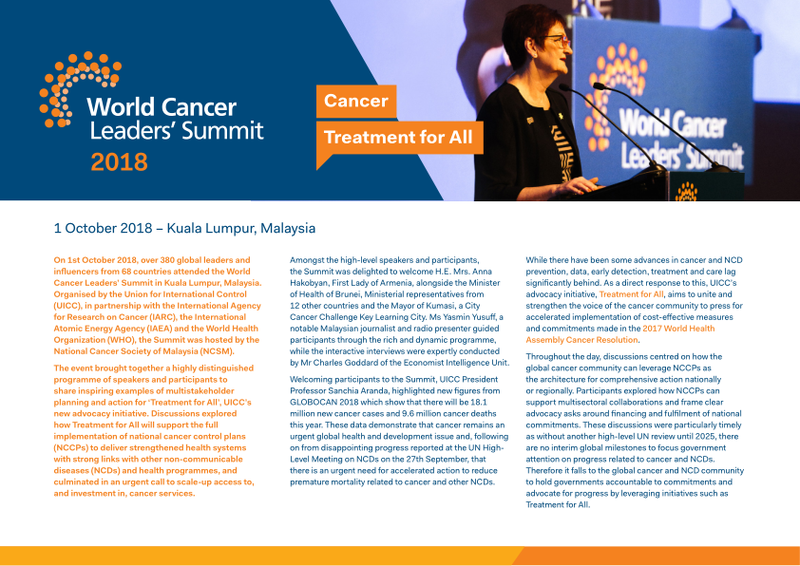 The video below is a playlist containing the full recording of the 2018 World Cancer Leaders' Summit split into 4 parts. Please use the selector in the upper left-hand corner to choose which part you will like to view.